It was a perfect evening. We had just finished dinner at Isabella’s and as we turned the corner, we saw it. Vaccaro’s. My wife’s face lit up, her grip tightened around mine and we hurried inside. 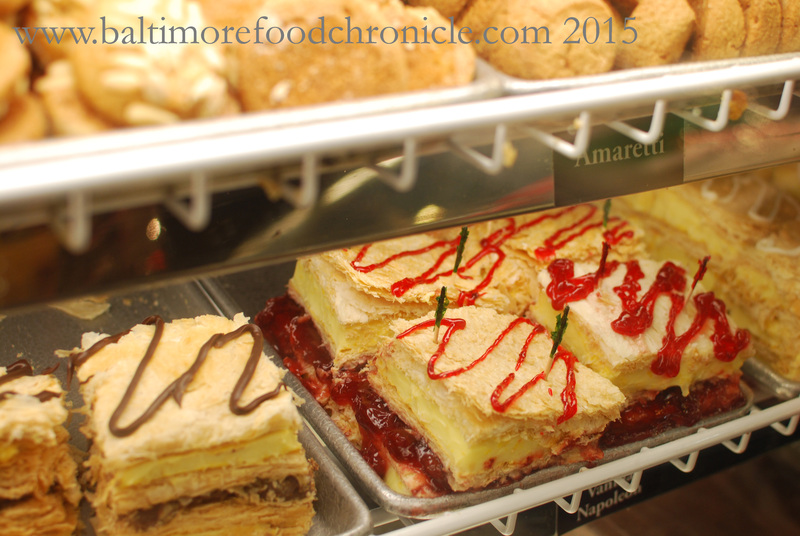 For just about 60 years, Vaccaro’s Italian Pastry Shop has been a fixture in Baltimore’s Little Italy and rightfully so. 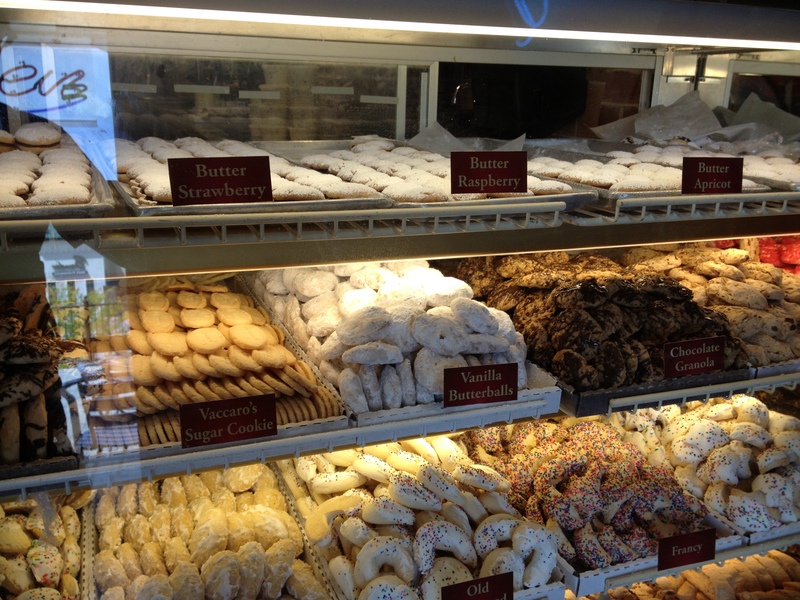 Vaccaro’s creates and serves up some of the best Cannoli, gelato and Italian pastries in the city. I’ve actually never been a huge fan of cannoli’s but I really do love the ones here. The Cannoli shell is thick and crispy, a lot like a cookie. And like any cookie it is even better when dipped in chocolate so of course I’m a huge fan of their chocolate Cannoli shells. 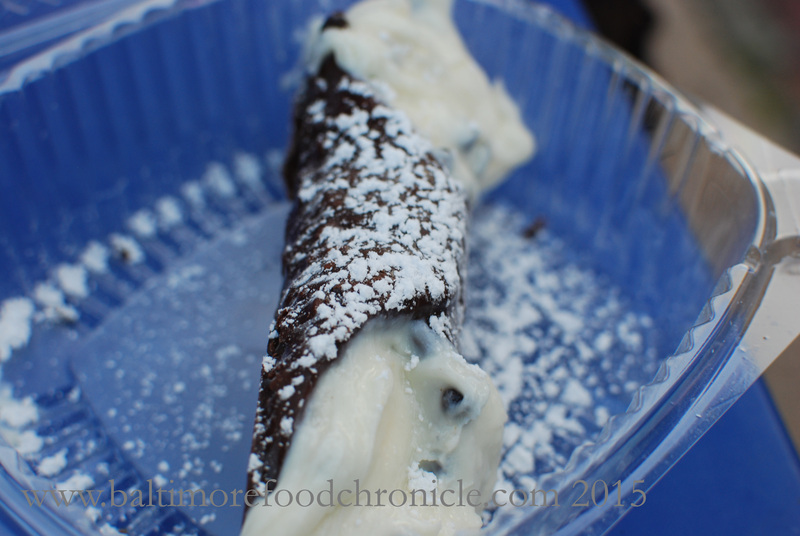 The Cannoli cream is sweet but not overpowering. It still retains the fresh sweet ricotta flavor but also has a very nice cinnamon tint to it as well. It wasn’t the first time we had Cannoli’s here. When we first moved back home there was a hot and muggy night in Canton when my parents, along with Jen and the kids first ventured into the famed cafe. I remember that the windows were steamed up, seeming to conceal the goodness that lay inside. On Friday nights in Hunt Valley, Greetings & Readings sponsors local bands to come out to Hunt Valley Town Centre for evenings of free music. 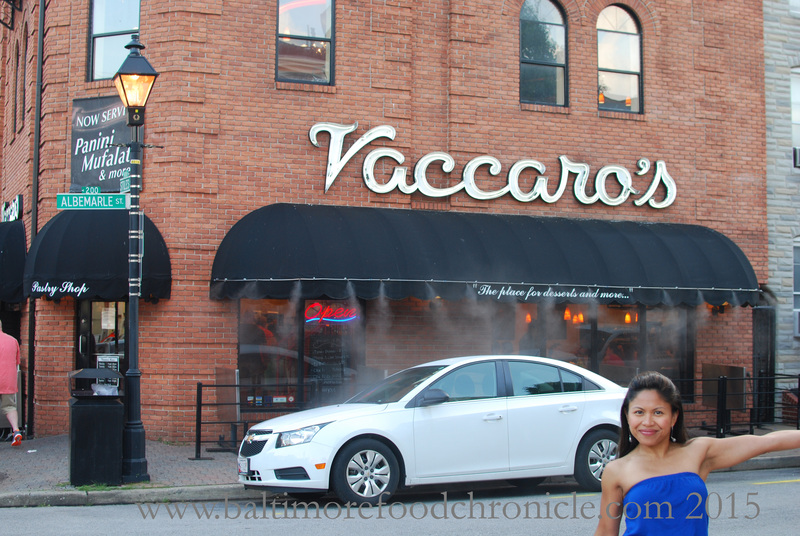 It is a great, free time and my kids love coming out to hear live music for a change, sample the foods in the area whether it is pizza from Wegman’s or chicken strips from Boardwalk Fries, then enjoying a Vaccaro’s gelato to cool down those summer nights. This Little Italy location however, had all that and more. On display was their full array of cookies, pastries and even cakes. 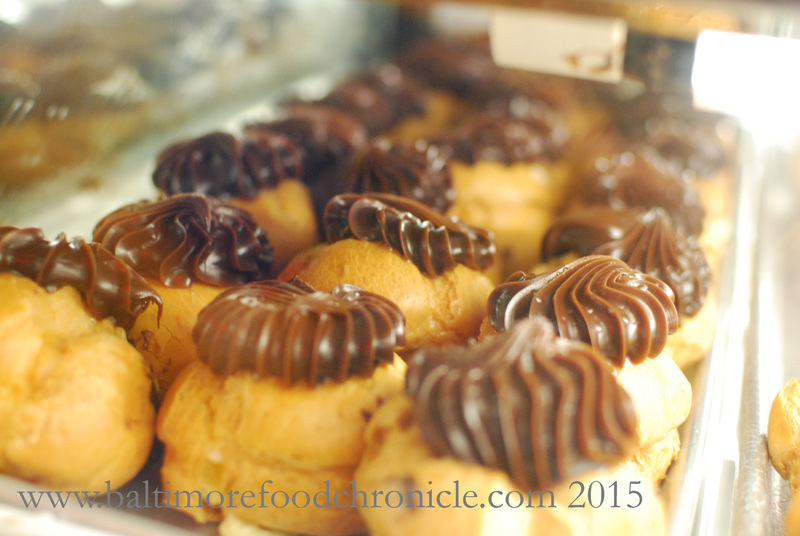 The chocolate covered eclairs are literally the biggest I’ve ever seen with a thick topping of decadent fudge on top of their custard filled pastries. I have the biggest sweet tooth I know, but when I want something a little smaller, their mini eclairs are still more than enough to satisfy (or just enough if you are sampling multiple offers at once!). 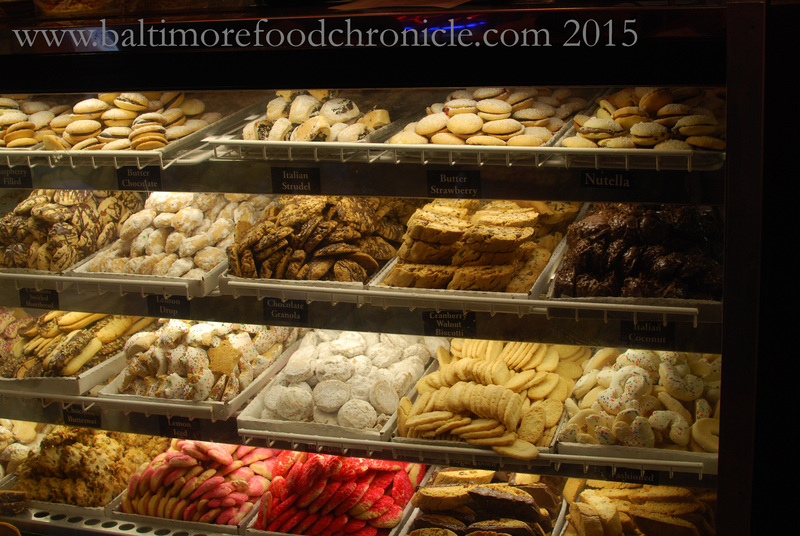 My mom and kids are huge fans of the various Italian cookies, including chocolate, almond, pine nut and even Nutella, and Vaccaro’s even offers 27 varieties of Biscotti! Stop in to any of their locations to taste the rich and amazing heritage that Gioacchino Vaccaro brought over from Italy all those years ago. We’ve been married for 12 years now, and with three kids and busy schedules a night out in Little Italy, walking and eating and taking in the sights was more than enough for us to enjoy each other’s company and be grateful for this wonderful ride.